During her multibook investigation into human nature, author Gretchen Rubin realized that by asking the question “How do I respond to expectations?,” one gains important self-knowledge. 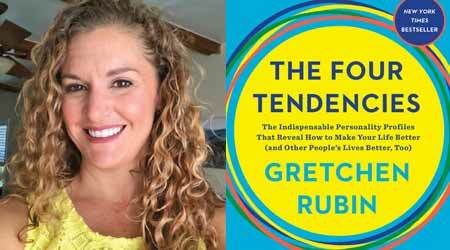 Drawing from science, age-old wisdom, pop culture and her own experiences, Rubin discovered that people tend to fit into four tendencies. This tendency shapes every aspect of a person’s behavior. Her book, “The Four Tendencies,” published by Harmony, helps readers understand their underlying framework, which can lead to happier and more productive lives. Alana D'Ambrosio (pictured) reviewed Rubin's book. “The Four Tendencies” is the latest book by Gretchen Rubin, better known for her “New York Times” bestseller “The Happiness Project.” I originally picked up Rubin’s book because I enjoyed applying some of the principles of “The Happiness Project” into my own life and wanted to see what new gems of wisdom she had to offer. As I dove into the book and started understanding the different tendencies, I quickly realized Rubin had created a guide to better communication. Yes, I could use the book to manage my own life, but more importantly, I could apply the principles to my coworkers to create a happier and more productive workplace. Rubin claims all people are broken down into four tendencies: Upholders, Questioners, Obligers and Rebels. These categories are based on a person’s ability to meet outer and inner expectations. Before reading, take the quiz to determine your tendency (the quiz can be found on her website, www.gretchenrubin.com). Then use this knowledge to better understand your coworkers and what they need to thrive in the workplace. 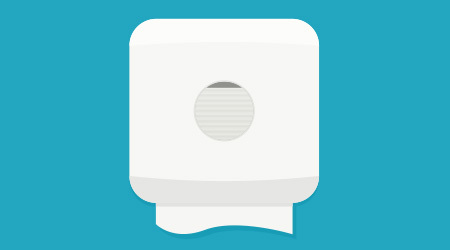 Do you have a coworker that resists change? They may be an upholder. This person can be relied on to follow through and complete tasks. However, because they like rules and sticking to a routine, upholders struggle with change. Give the upholder time to understand the new rules in order to get on board. Or, do you have a coworker that always needs more information? They may be a questioner. Questioners are excellent at researching and analyzing to improve processes. However, expectations need to seem reasonable and justified for the questioner to buy in. Accept the questioners need for information and provide them the resources to answer their questions. What about a coworker that always seems overloaded? They may be an Obliger. Obligers excel at meeting people’s expectations, often making them great leaders. However, because of their need to please, obilgers have a hard time saying no. Alleviate the obliger’s workload by helping them say no to less important tasks or delegating work to other team members. Finally, does a coworker never seem to follow the rules? The may be a rebel. Rebels have a great ability to think outside the box and add creativity to a team. However, they have a strong need for freedom. Do not micromanage a rebel, trust them to take the information you have given them to decide on how to execute the task. Overall, Rubin’s book is a great resource to share with staff members in managerial positions to help them understand the personalities of their staff and become more effective leaders.